Brenda Frese talked about how to win this game on several occasions during tonight’s game against UCLA, one of the key parts she mentioned that would most likely help her win the game was rebounding. The final minute was exactly just that and it is what UCLA got the best of to move on to the Sweet 16 to face UCONN on Friday. Michaela Onyenwere scored a career-high 30 points, Japreece Dean added 22 and UCLA squeezed past No. 3 seed Maryland 85-80 Monday night to earn its fourth consecutive berth in the Sweet 16 of the women’s NCAA Tournament. 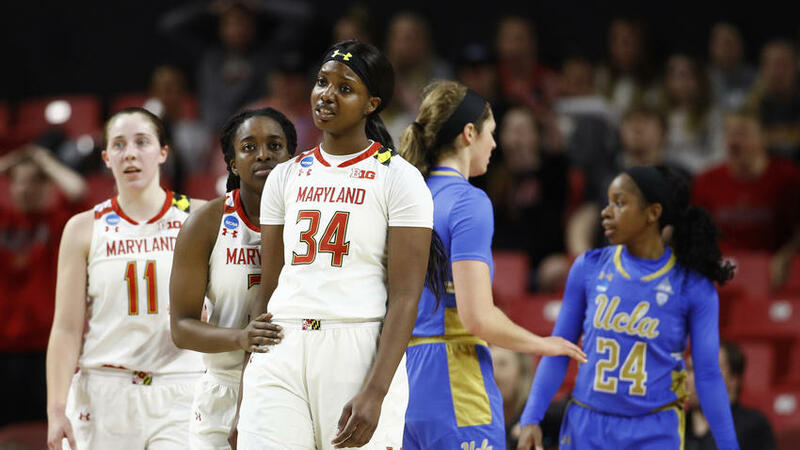 The Terps had one more shot at staying alive when Shakira Austin went to the free throw line in the final seconds, but was only able to hit one shot and then UCLA tossed the ball long for a easy two to end the Terps hops of advancing. “It was a tough ending for us, we played as hard as we could to the end but they were the better team tonight,” said Maryland Head Coach Brenda Frese.